Used Cars, Trucks and SUVs For Sale in Morehead City, NC! With Benchmark what you see is what you get... We are a simple and straightforward dealership in Morehead City that offers mechanically sound and affordable vehicles. We post the minimum down payment requirement on every vehicle and this includes tax, tag, etc. You will not need anything more than what we post to drive off the lot with the car. We do not check credit so anything negative on it does not have to be discussed. Approvals are based on your job and affordability. We never sell our accounts to outside companies. This includes the warranty, GAP waiver, roadside assistance, etc. This means you will never have to deal with a 1-800 number or anyone other than us concerning anything that may come up with your vehicle or account. All of our vehicles have been serviced by certified professional mechanics and we are more than happy to provide you with detailed service records. Still don't believe it? Take it to a mechanic of your choice for an inspection before you buy or lease. You can structure your payments how they fit you. 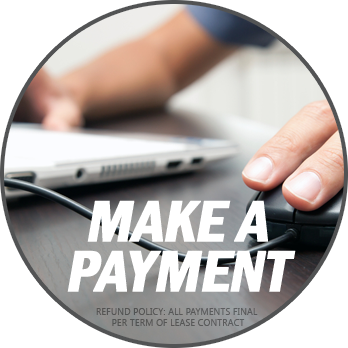 Weekly, Monthly, Bi-weekly, Credit Card, Debit Card, Online Payments, Auto Draft... You decide, we are flexible. We maintain a no pressure, laid back environment where you can shop without having a salesperson in your back pocket the entire time you are here. We post everything online so you can choose to shop here or at home and still get all of the information you need without any hassles, ever! We will consider almost ANY trade-in. The value of the trade can be used against your down payment. Bring your vehicle in for a quote! *Warranty not included on less than $500 down vehicles. Mileage restrictions apply. **$100 early termination fee is required.